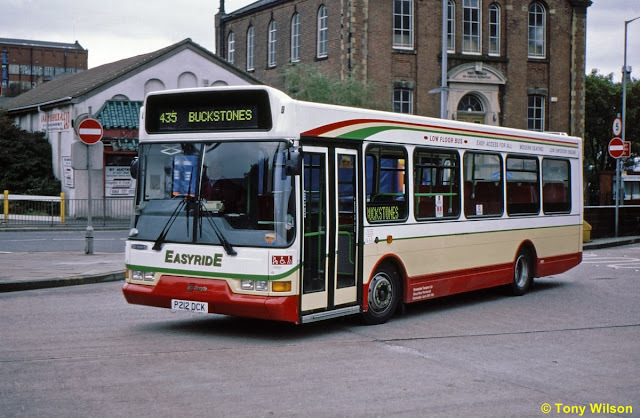 Following the recent Darting Around Chesterfield item Tony Wilson has sent pictures and information about the vehicles during use with the original operators. in the background and the Croydon tram tracks to the left of the picture. 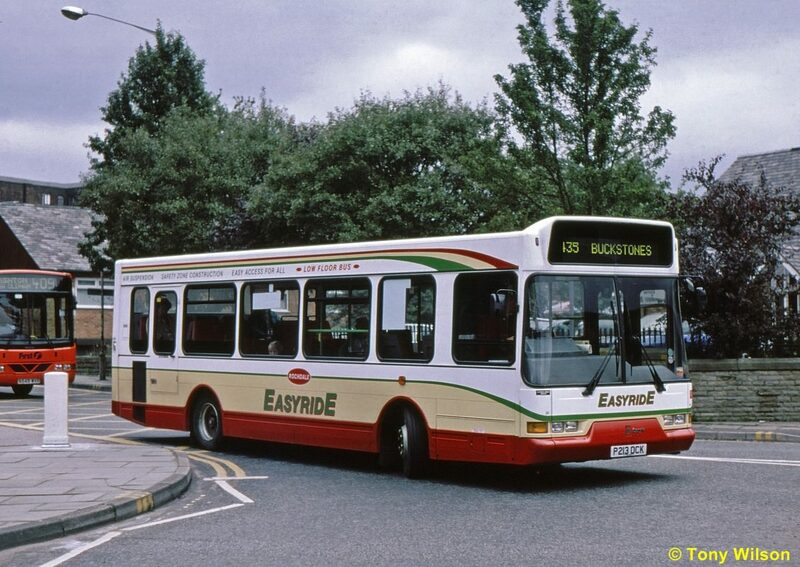 Rawtenstall. 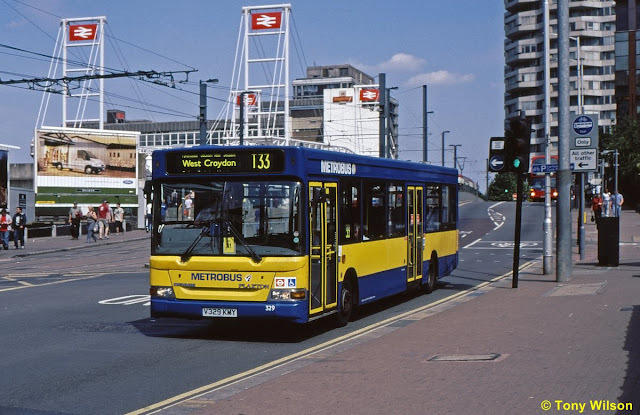 Numbers 112 and 113 as they were when found at work in Rochdale in October 1998. Hall College grounds at Aldenham near Watford in April 1997.
campus area at Hatfield. 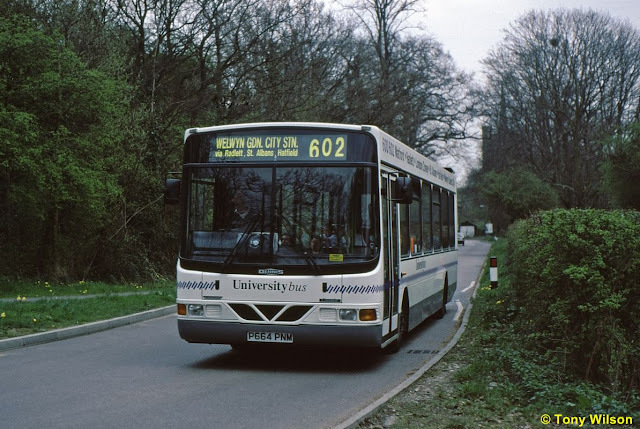 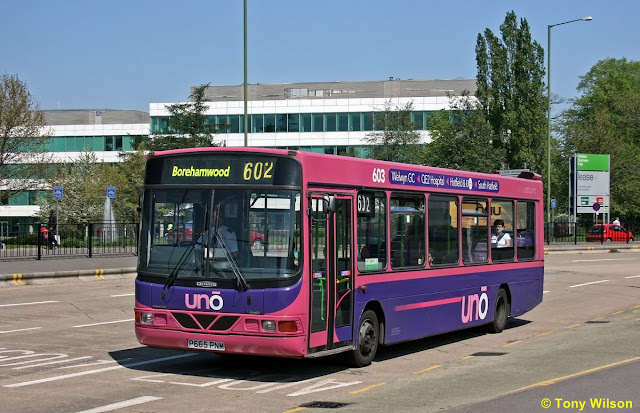 Buses operate nowadays using the trading name uno (with a small 'u').